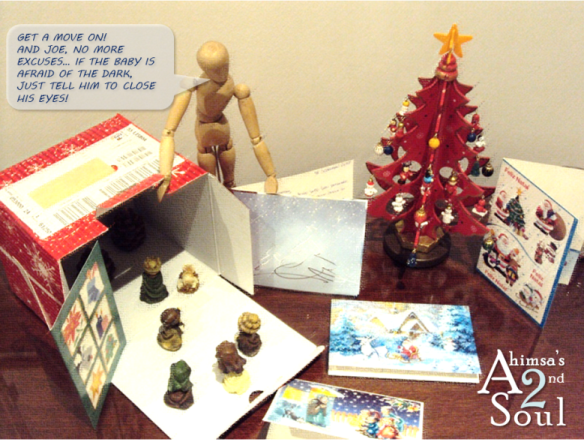 Ahimsa's Second Soul: Exodus...or the End of Christmas Season! Exodus...or the End of Christmas Season! This Christmas, as I invested a bit more time with the decorations, my heart sank when I had to wrap up the figurines and put them back in the box. But then again, Mr. Woodsman wants his place back, holding notices and postcards, a whole new adventure in a brand new year.